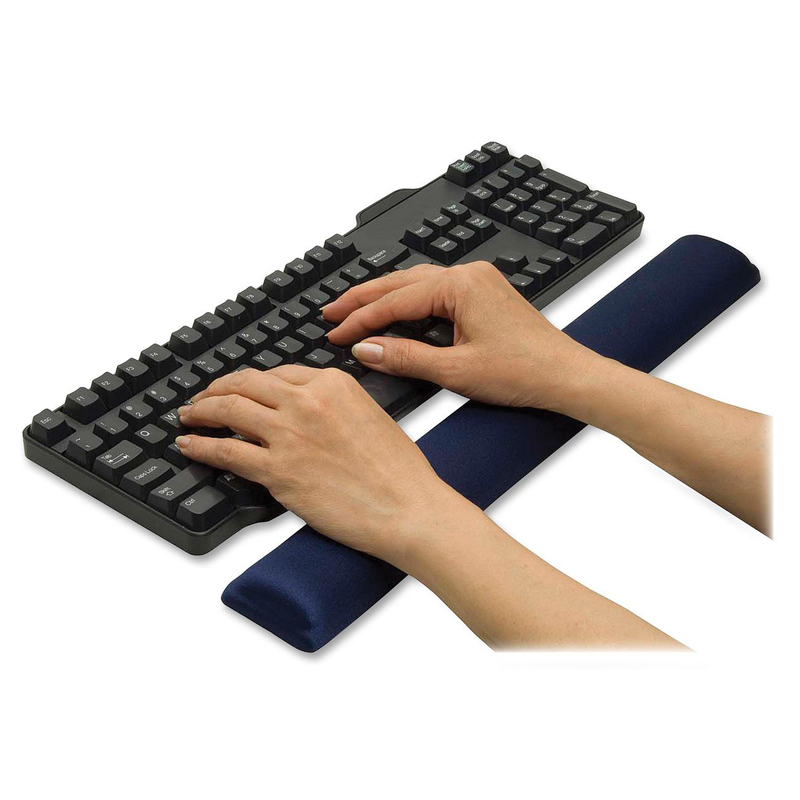 If you type all day every day like a lot of software engineers do, this is a pretty necessary thing or you wind up with carpal tunnel syndrome. 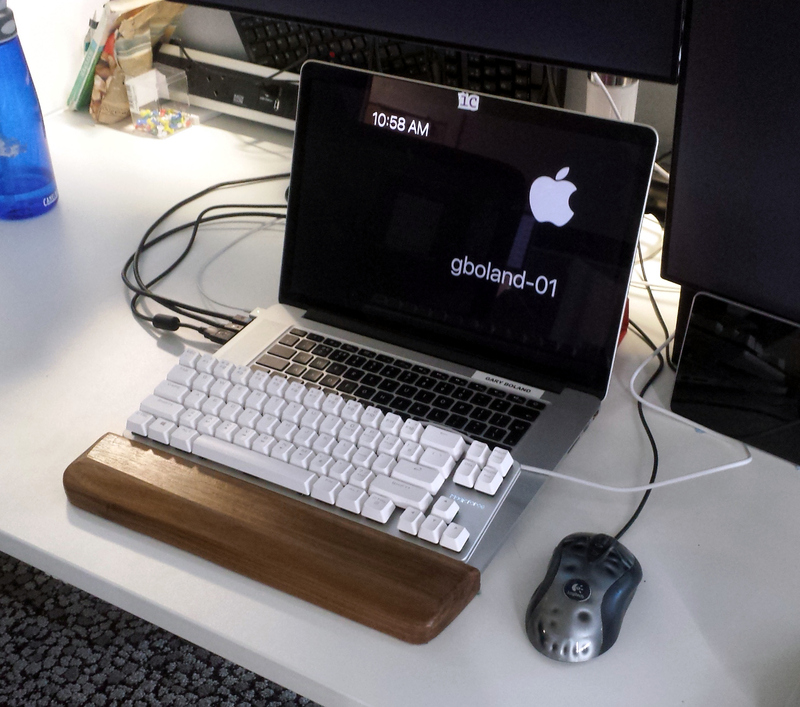 I’ve had that, it’s not fun (it’s why I’ve used kinesis ergonomic keyboards for twenty years). 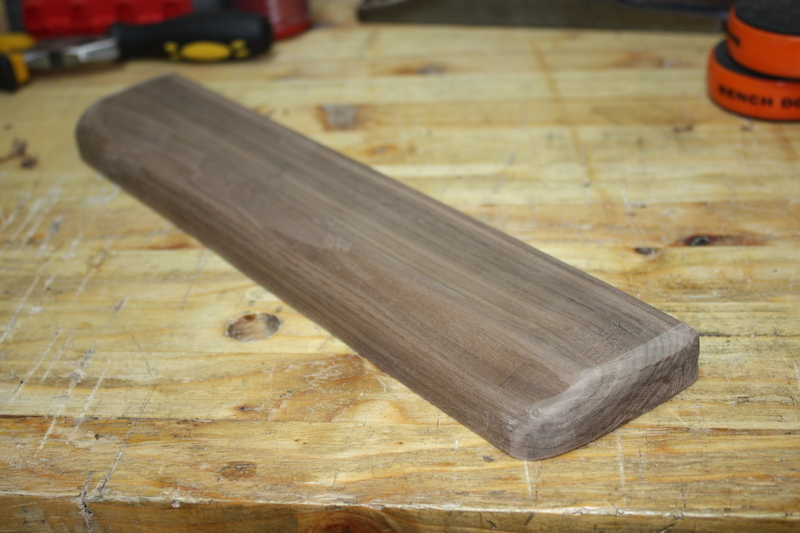 I mean, it’s not some gel-filled cushion, it’s not articulated, it’s just a shaped plank of wood. 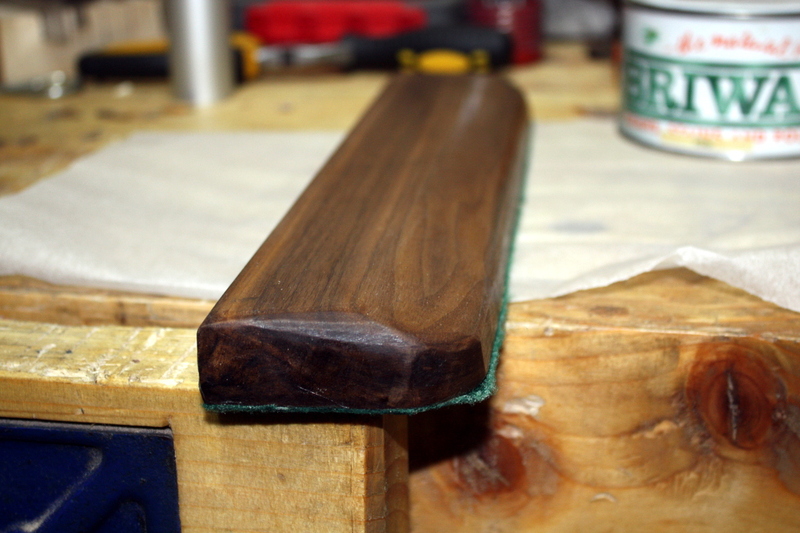 Walnut maybe? 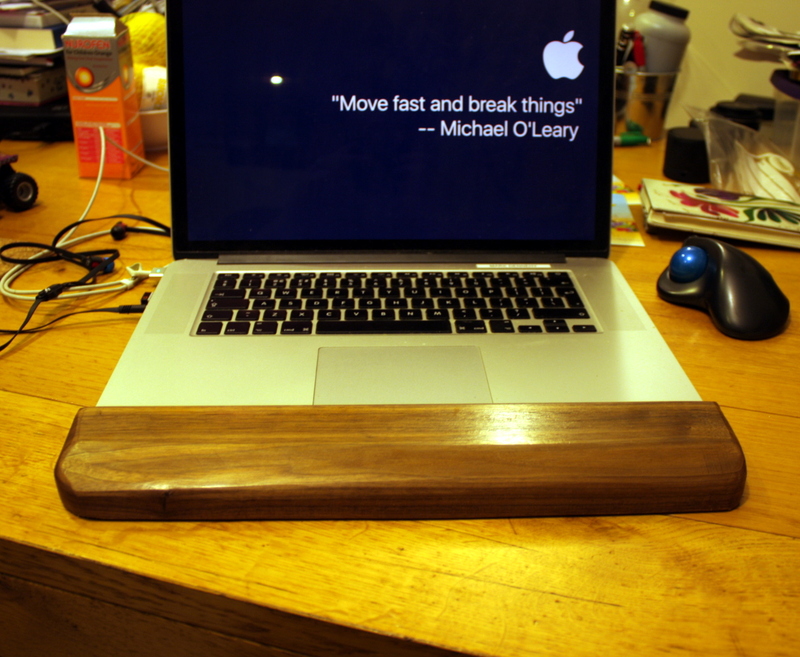 Fourteen inches wide (the width of a MacBook Pro) and about three inches deep. They’re charging $95 for it (or they were, it’s not for sale any longer). I nearly choked on my coffee. I told him that was insane, that it was a lump of wood and not worth it and that I could knock that up in my shed in twenty minutes from an offcut. So he said “prove it”. That’s how I keep getting myself into these things. You’d think I’d have learned by now. And from there, I get out the spokeshave and round over edges and I use the jack plane to cut a quick chamfer on the front edge and then go over everything with the spokeshave again to get it all nice and smooth, and I hit the ends with some sandpaper for a few seconds to get the last little bits around that knot on the left front side. 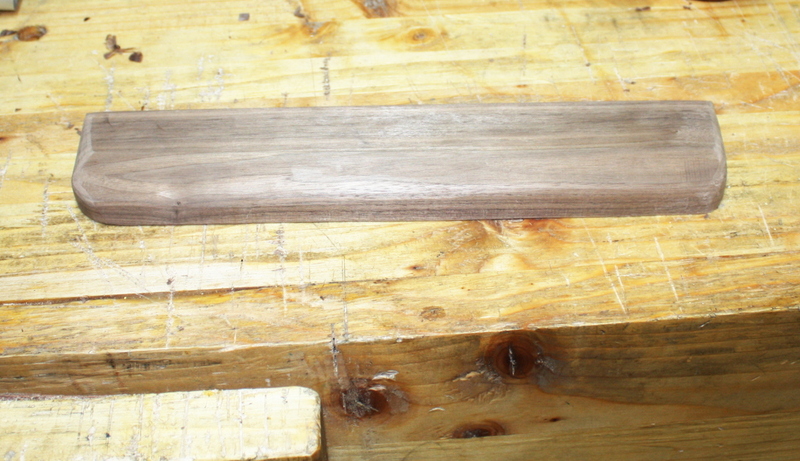 Total time from start to here was about 25 minutes or so (I was faffing about a bit with the new fretsaw). 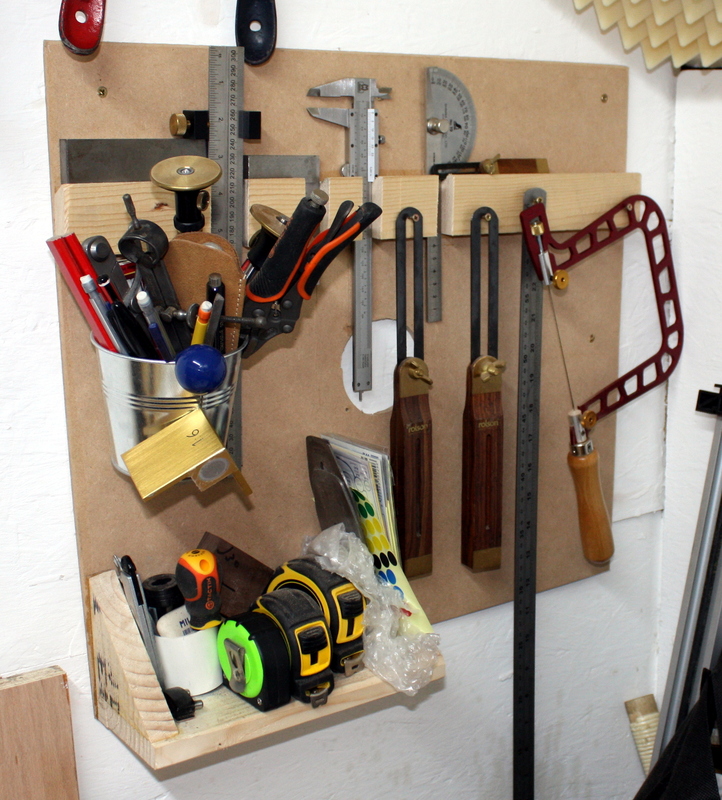 With machines, that’s two tablesaw cuts, two mitre saw cuts and a run-around on a router table, so maybe three minutes? 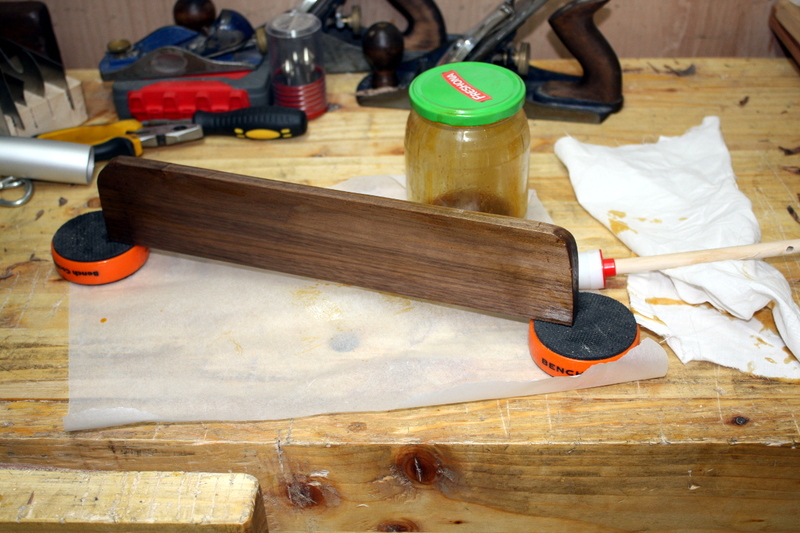 One coat on by brush, then in for a cup of tea and a bit of Richard Maguire’s latest sharpening video while it dried. Then out to the shed again, some steel wool to knock back the first coat of shellac and rag on a second. 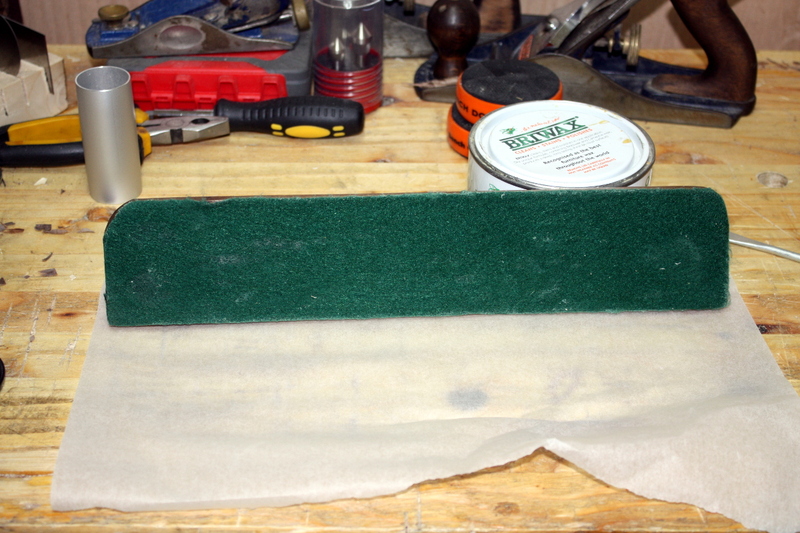 Back to the house for more tea and Maguire, and half an hour later I take the offcut piece of felt I had from lining the cot drawer and cut a small piece out of that and spread it and the underside of the rest with contact cement from the end of a tube left over from putting leather on the bench vice jaws. Let that get tacky for ten minutes, then press the two together and trim the excess. 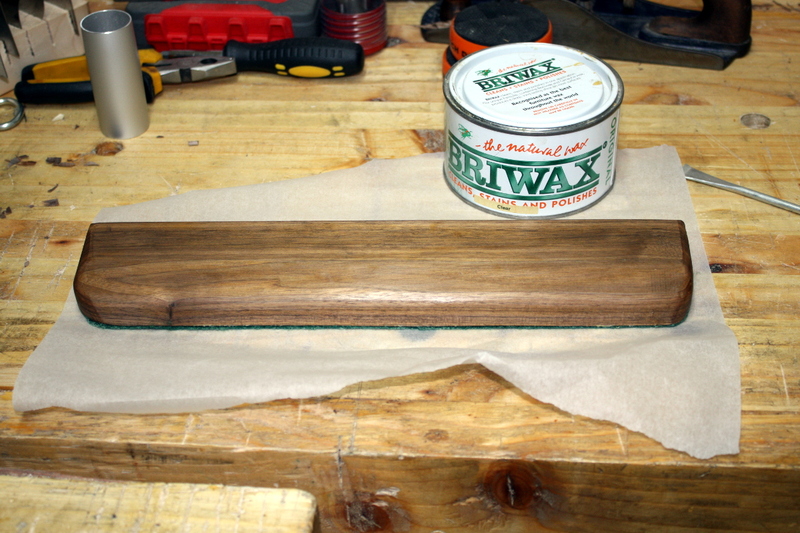 And then a final coat of briwax on top for the shiny. So $95 versus €2. Hell of an exchange rate, even when you count the three minutes it’d take to make with machines, labour, marketing and so on. *That’s a joke for the other IT people btw.